Posted on Сентябрь 27, 2016 by Татьяна Н. State Verbs — это глаголы, которые не употребляются в длительных временах (во временах группы Continuous). Они рекомендуются для изучения на среднем уровне. Данный грамматический материал представляет некоторую сложность и поэтому я разделила его на несколько уровней. Полный список глаголов (State and Activity Verbs) вы найдете ЗДЕСЬ — Английские глаголы, которые не употребляются в Continuous. Для закрепления темы выполните упражнения ниже. Вспомните эти глаголы! 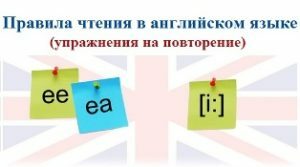 Их надо употреблять в Present Simple (вместо Present Continuous), Past Simple (вместо Past Continuous), Present Perfect (вместо Present Perfect Continuous) и т.д. Для закрепления материала рассмотрим базовый случай с временами Present Simple и Present Continuous. На первом и втором уровне мы рассмотрим глаголы, которые НИКОГДА не употребляются во временах группы Continuous. Это 10 глаголов из основного списка для начинающих: need, hear, like, love, dislike, hate, know, understand, want, hope. Упражнение 1. Раскройте скобки, употребляя глаголы в Present Continuous или в Present Simple. I (not to know) what to give my brother for his birthday. They (to want) to publish this book in July? He (to understand) that he (to eat) noisily, but he always (to forget) about it. Your family (to leave) St. Petersburg in summer? — Yes, we always (to go) to the seaside. We all (to like) the sea. Now I (to hate) him more than ever. You (to want) to see my father? — Yes, I (to need) him at the moment very much. He (to learn) English because he (to want) to get a better job. I (to call) my son in Cedar Falls now. I (to want) to call him every month but it (to be) very expensive. You (to hear) me now? How your job (to go)? — Great! I (to enjoy) it a lot. She (to want) to impress everybody. Listen to Greg! You (to understand) what language he (speak)? We (to know) he never (to be) late for work. Don’t disturb him. He just (to work) at his English. I (to hope) his English (to improve). I (not to like) to watch TV very often. But at the moment I (to enjoy) my favourite film. Упражнение 2. Раскройте скобки, употребляя глаголы в Present Continuous или в Present Simple. You (to realize)that we are having a test tomorrow? If you (not to watch) the news, I’d change the channel. You can borrow my dictionary. I (not to need) it at the moment. George says that he has a note from the doctor but I (not to believe) him. Who (to be) that man who to (stand) in the doorway? — You (not to recognize) him? It (to be) John, my cousin. I haven’t got your idea. What you (to mean)? I (to wish) you good luck. I can’t say that I still (to love) her. Why you (to want) to know all details? How many new words you (to remember)? This car (to belong) to you now? Michael (to know) German rather well. He (to want) to know English, too, but he (to have) little time for it now. Упражнение 3. Раскройте скобки, употребляя глаголы в Present Continuous или в Present Simple. You (to have) any idea where Rick (to be)? I (not see) him at work now. Hurry up! We (not to have) much time to spend here.— I (to come)! She (to try) to lose weight, but I (think) she (not to try) to do her best. She (to think) he (to drive) dangerously now. I (to think) she often (to worry). Your English (to get) better? — Yes, I (think) so. I (to have) no time now, I (to have) dinner. Where Tom and Nick (to be) now? — They (to have) a smoke in the garden. I haven’t decided yet what profession to choose. But I (think) about it. You (look) great in this new coat. Упражнение 4. Выберите глагол в правильной форме. Terry is in bed. He has/is having a flu. He has/is having a mobile phone. I have been having/ have had this bag for years. I can’t come to the meeting because I have/ am having an appointment with the dentist at 3 o’clock. What’s the matter? Why do you look/are you looking at me like that? Have you lost anything? What are you looking for/do you look for? I know you have made up your mind but I feel/am feeling you are making a big mistake. Why are you feeling/do you feel your pockets? Have you lost anything? I am smelling/ smell the roses because I like their scent. The milk tastes/ is tasting bitter.